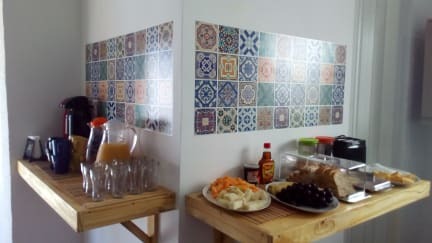 Good Hostel e Bar is much more than a simple conventional hostel. 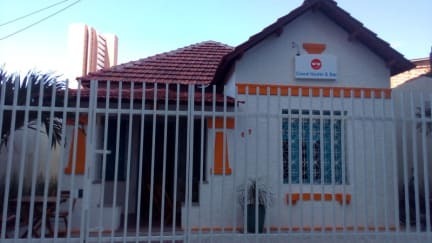 An extremely pleasant and comfortable place, a new accommodation concept, which is not only limited to a new environment, but also to enhance the tourism and artistic scene of Fortaleza. You can enjoy our bar and pool and use our fully equipped kitchen to cook delicious meals. You can also relax and enjoy our common area. The parking is free of charge, but don't forget to make your reservation in advance. We are open 24 hours! Our team speaks English, Portuguese, Spanish, French and Turkish and we'll be very happy to help you! Free Parking with previous booking. We are located nearby the Iracema Beach, the most famous main beach in Fortaleza. Around the area you can find restaurants, shops, pharmacies, bars, bank and supermarket. From our address you have easy access to the most important touristic places in the city. We have the perfect accommodation. All rooms at the hostel feature with nice and comfortable bed and lockers. We provide female and mixed dormitories. We also provide a private room with air conditioner and towels included. Cancellation policy: The guest can cancel free of charge until 14 days before arrival. Prepayment: The guest will be requested a %50 prepayment of the total amount in the 14 days before arrival. For non refundable reservations the guest will be requested a prepayment of the total amount after reservation. Payments with card are subject to a %7 surcharge on debit and %10 on credit.